My sister, Tea Time, had some of these Heart Thrive bars for me to try. I had (though not anymore) seen plenty of them at Whole Foods and am always in the mood to try all sorts of bars, especially vegan ones with decent amonts of protein (~5 grams)! Here's the chocolate one pictured. They come in two's. I also dried a "date" one as well. While Tea Time isn't a fan, I thought these were hearty and "clean," not too sweet. 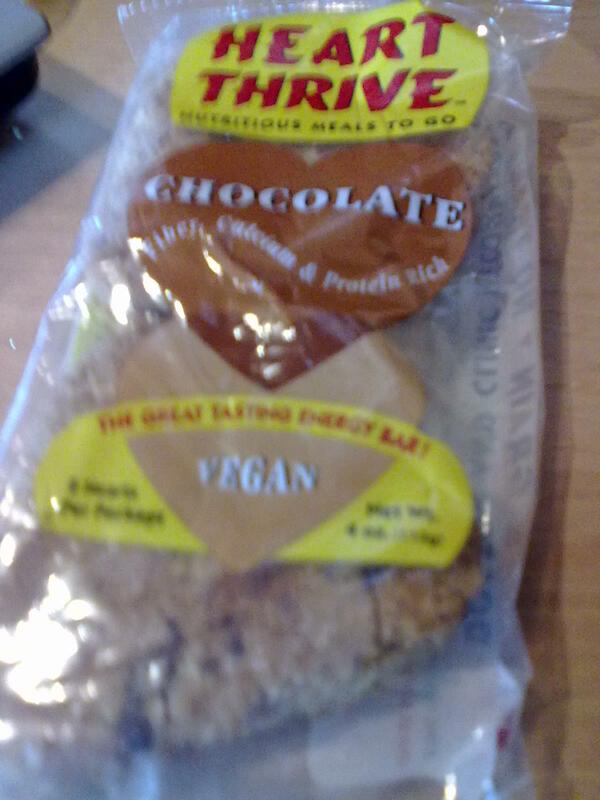 The chocolate flavor was great because I like finding hard bits of chocolate/carob in it. 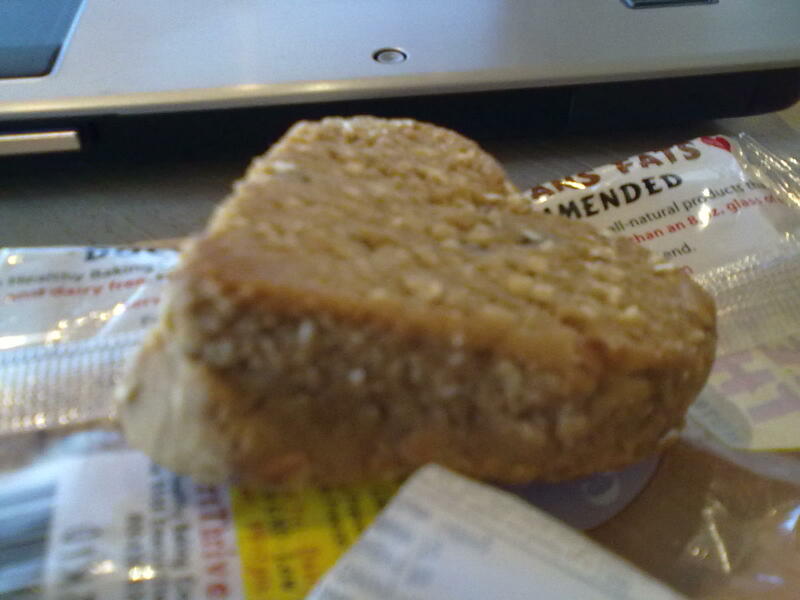 I didn't quite let the bars thaw out enough before consuming them because I didn't want to heat them. And yes, they require freezing because of a lack of preservatives, lest you wind up with moldy ones (which I did). Not sure if the one below is moldy as well, but the bars had been transported and such. Oh well, I didn't get a stomachache! Those bars look really good. I will have to check them out next time I go to the store. Thanks.